As the healthcare industry optimizes for value-based care, we’ve seen a rise in the creation of large healthcare systems made up of hospitals, primary care facilities, outpatient facilities and ancillary services. Mergers, technological innovation and programs such as, Meaningful Use have led to very complex IT landscapes that have worsened as healthcare systems grow. Added to this, there is a growing recognition that improving patient outcomes means treating patients along all points in the care spectrum, which redefines who a “care team” entails. In many cases, a “care team” would involve providers at multiple facilities and could even extend beyond a healthcare system. The challenge is facilitating communication among all care team members, inside and outside of the hospital setting, without adding to the complexity these providers already face. After all, technology complexity is one of the leading causes of burnout among clinicians. 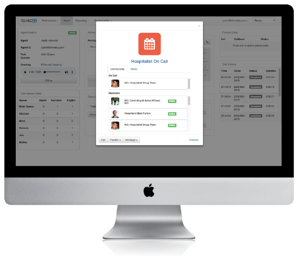 Unified schedules that integrate with the directory, to know who is on call without referencing a schedule. Look up “hospitalist on call” for instance. Once a patient is discharged from an acute care facility, the clinician can still perform a safe handoff to seamlessly hand over care to the auxiliary facility within the healthcare system. 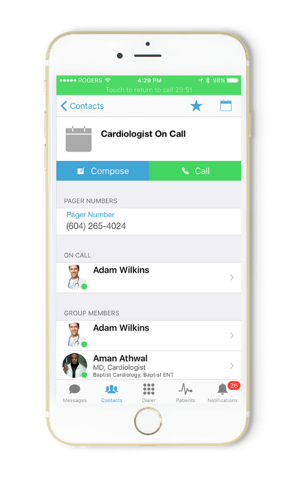 In the event a patient is rapidly declining, a code page can send a high priority message to all members logged into a unit to allow for rapid response, with automatic escalation for any physician who doesn’t respond or receive the message per protocol. EMTs can begin relaying patient information to a hospital before arriving for effective triage. Resources for large emergencies (car pileup, earthquakes, etc.) can be provisioned before patients begin to arrive. Telmediq’s call center software allows agents from any location in the system to take calls, regardless of the facility they are tied to - with seamless integration to patient information, on-call list and unified directory to facilitate the call. Call center agents can seamlessly put calls through to providers or send them a secure text message or page through the integrated call center software. Whether it’s an early responder, a hospitalist or nurse at a long term care facility, Telmediq can provide seamless communication for effective patient care. At Telmediq, we are looking to the future of clinical communication to see what hospitals and growing healthcare systems will require for the next 5 years. If you would like to see how we can help remove the complexity from your current healthcare system, to improve patient outcomes, contact one of our clinical communications specialists today!